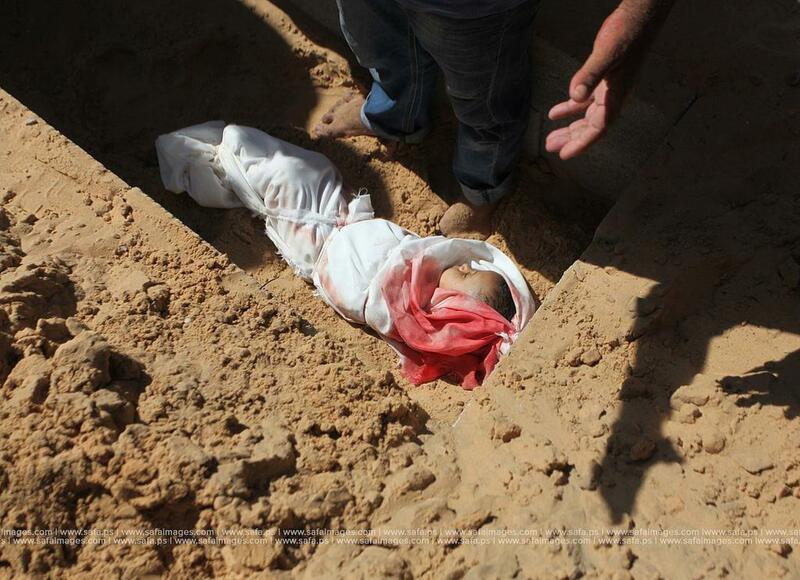 Today there is a 12 hour ceasefire in Gaza. It is safe, briefly, to enter outside, survey the damage to the infrastructure, reclaim a few possessions, whilst the Israel Offence Force watches over. 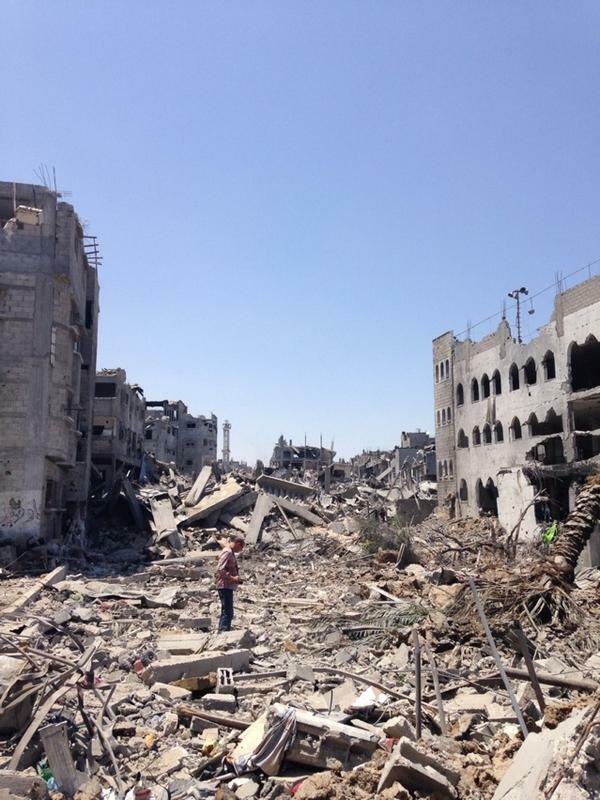 The scene on the left is the devastation meted out to the Gazan neighbourhood of Shijaiyah (picture sourced from Media Lens) in the name of ‘right of self-defence’. Proportionate? By contrast, the image, right (from the Israel Defence Force). 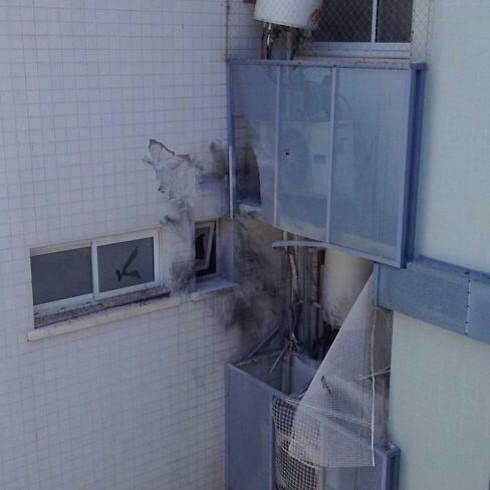 This was the damage to an apartment block in the Israeli town of Ashkelon from a Palestinian rocket. Proportionate? 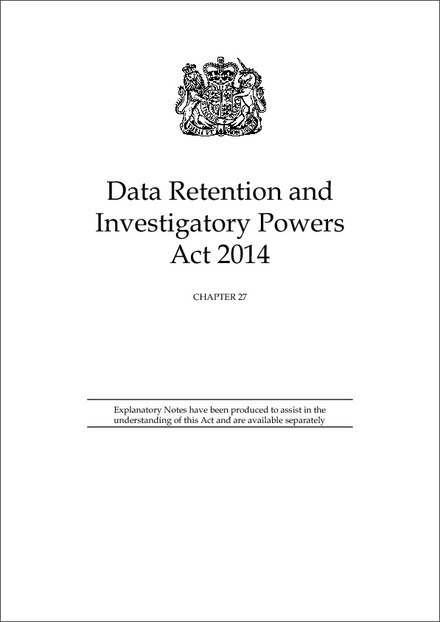 Proportionality is a bit of a red herring. The issue is the siege of Gaza and Israeli settlements. It is time for Obama to get on his plane and tell Netanyahu that he is on his way to the to the ICC in the Hague. I’ve decided, after considerable thought, to follow God. 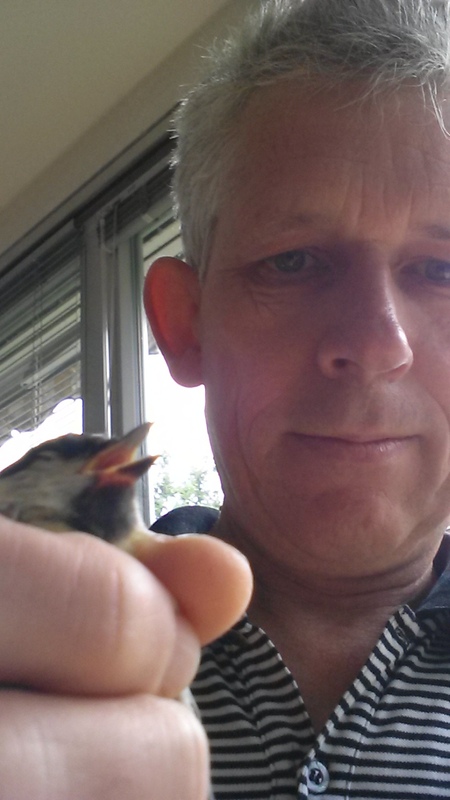 On Twitter. One of the reasons for this, is that there are times when the world is incomprehensible, and some explanation is needed from afar. God is as far afar as is inconceivable. It made me feel marginally better after 300 people were blown out of the sky by a rocket over Ukraine and a plane load of people murdered in Gaza, with more literally promised this evening by the Israeli Government. If God has lost control, essentially he is saying, if I read him correctly, that humanity has to do something about this. What do I hear? The BBC doing its lazy ‘balanced’ reporting and my Government sticking to the tired and wrong ‘right of self-defence’ argument. This is obscene. 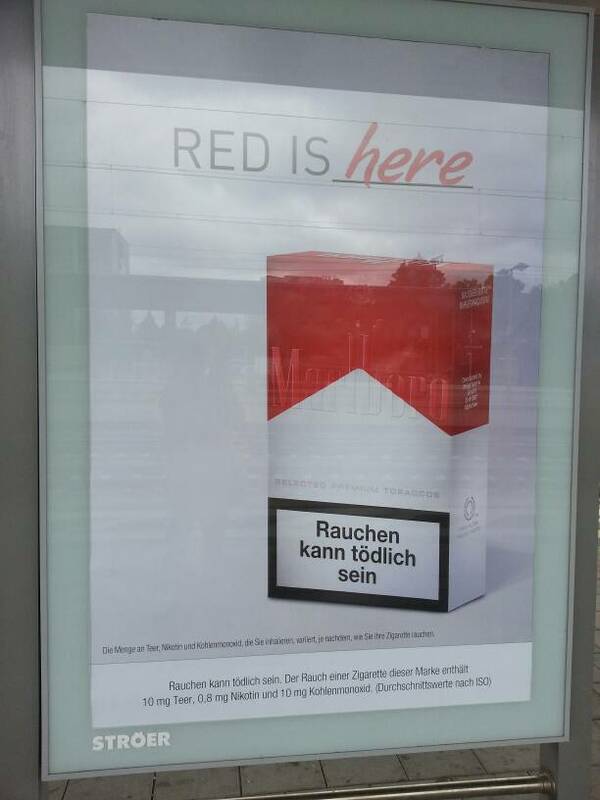 These are heady times in cigarette advertising campaigns in Germany. I assume this has something to do with the World Cup with its healthy lifestyle promotion of beer, fast food and lethal nicotine dispensers. Clearly, Marlboro has been conceding ground to Lucky Strike on the ‘all American-ness front (see posts under this tag). So, the advertising agencies suggest a relaunch. And here it is, ‘Red’. It is true that cigarette boxes have always been wonderfully designed, fit-for-purpose, artefacts. Beautifully engineered. I have always found smoking to be pretty repulsive, but the boxes have consistently fascinated me. Largely unchanged for decades. The clean design here is seductive. That I can see. The pinnacle, as I understand it, is when the actual brand does not need to be spelled out. 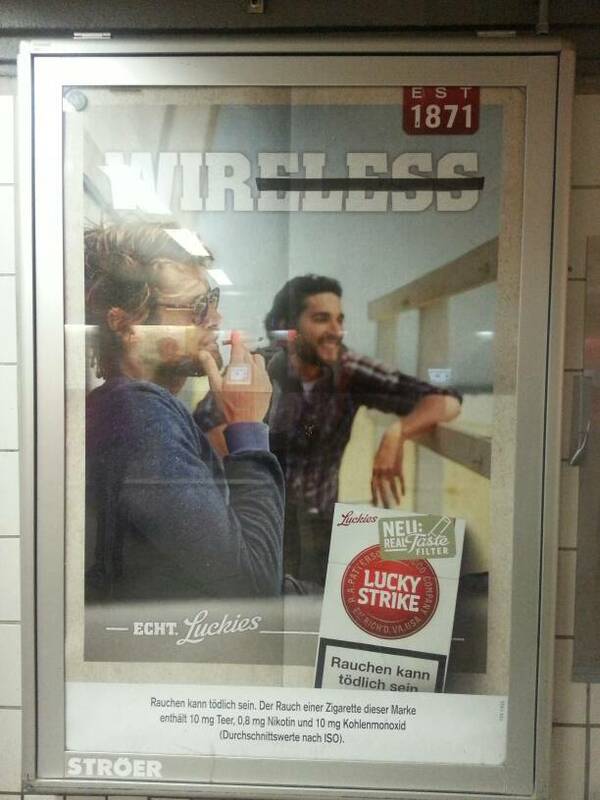 As reported earlier, Lucky Strike has been promoting previous times before technology when people met and talked over a cigarette. I have reported elsewhere how Lucky Strike’s characters are now into books rather than social networks. Here is another one (right). Pure unadulterated manhood. But to add a certain confusion, here is the latest. 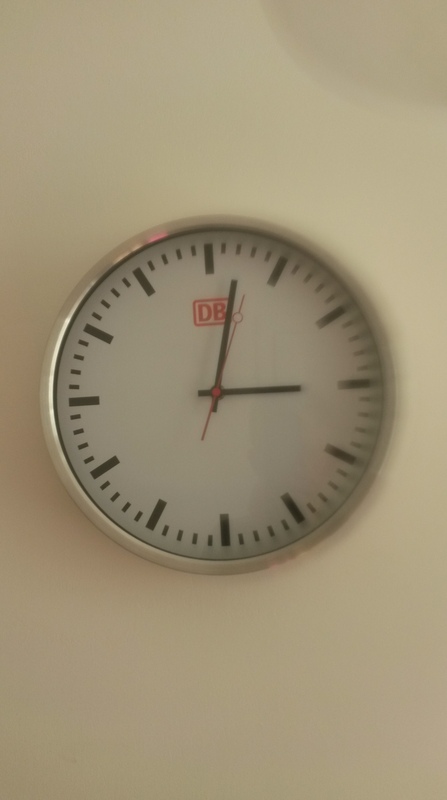 “Luckies kann man nicht selber machen” [one cannot make Luckies by oneself]. 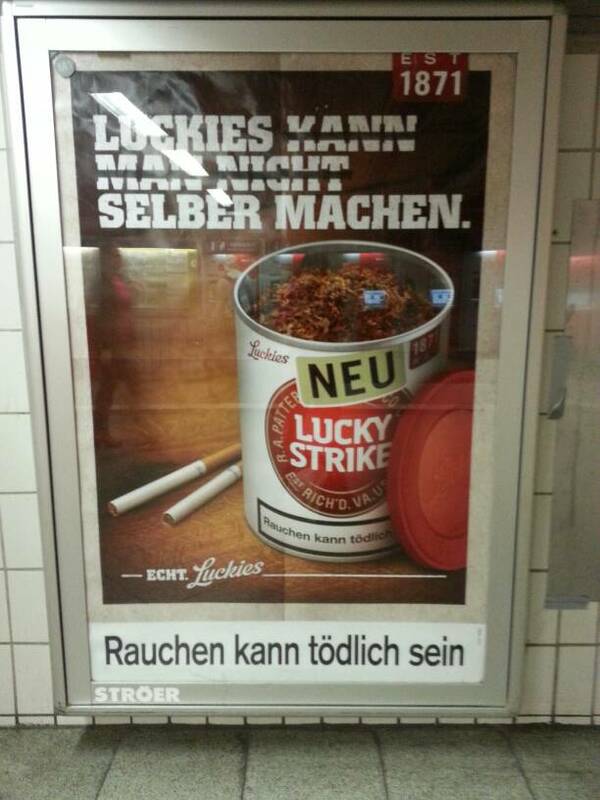 When applying the strike-through magic, it becomes “Luckies selber machen” [make your own Luckies]. At first, it looked like a tin of tobacco soup. I realised that was stupid. Actually, it is Lucky Strike going into roll-ups. In a tin. Collectable and beautifully engineered, but let us see how a Lucky Strike roll-up goes down. Watch this space. L&M – opposite of Lucky Strike? 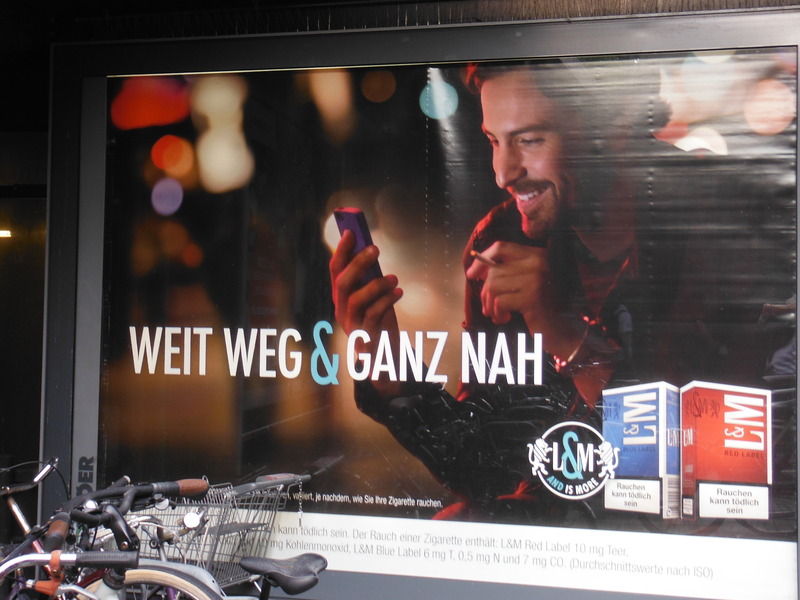 L&M has waded into the advertising space that is Germany. And the approach is the opposite of Lucky Strike. Lucky Strike has been dispensing with technology in favour of books and unmediated human interaction (see post 29 June, 2014). L&M celebrates technology. Bloke on his mobile, big smile, lit cigarette. The strap line, “far away and very close”. Hence the technology. He’s probably checking that his health insurance covers extreme sports such as smoking. 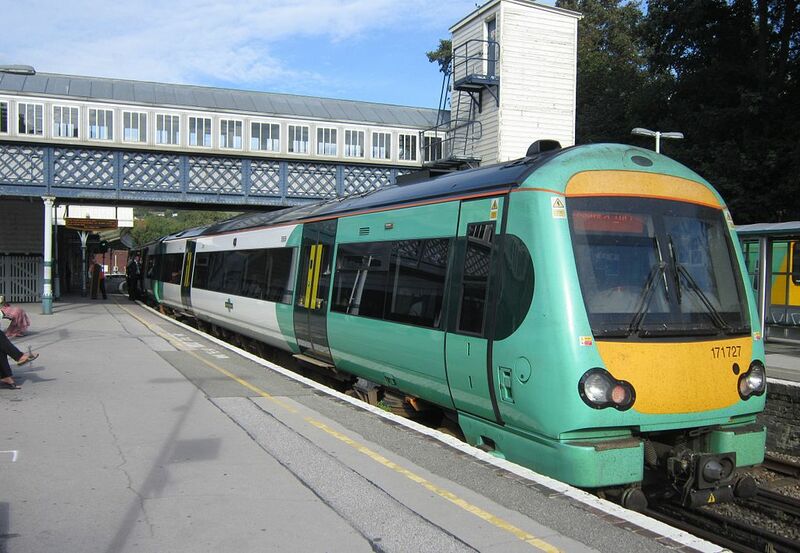 Hop farm is close to Tunbridge Wells in Kent, England. The festival comes one week after Glastonbury, but its scale is modest in comparison. What a festival it was this year. Normally when I am at festivals, I stand there just a shade underwhelmed. That said, Kraftwerk 3D last year at Latitude (see post July 24, 2013) were extraordinary. And not underwhelming. Quite the contrary. 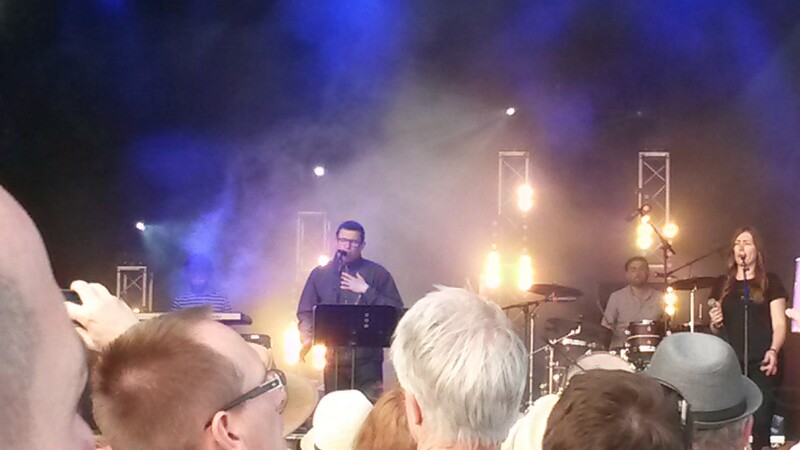 Now, since last year’s Latitude Festival, either I have changed, or this festival was particularly good. Maybe a bit of both. 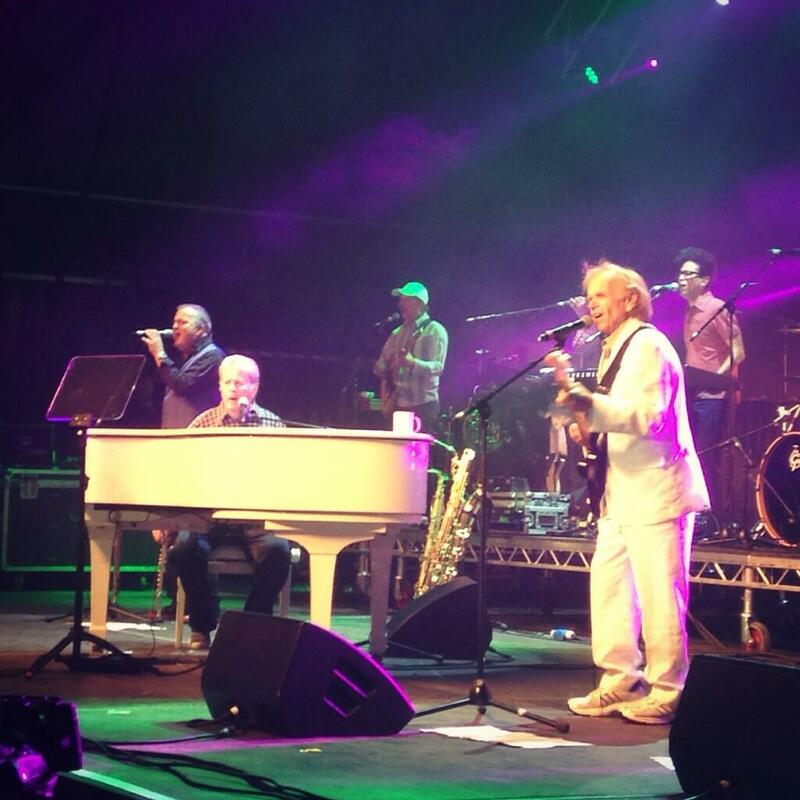 I anticipated Brian Wilson (left) to be alone at his piano for an hour or so. Indeed he was, but not only did he have some friends (including Al Jardine) with him, but those friends were handpicked to recreate that 60s Beach Boys sound. It was pure sublime celebration. And an object lesson for younger musicians. 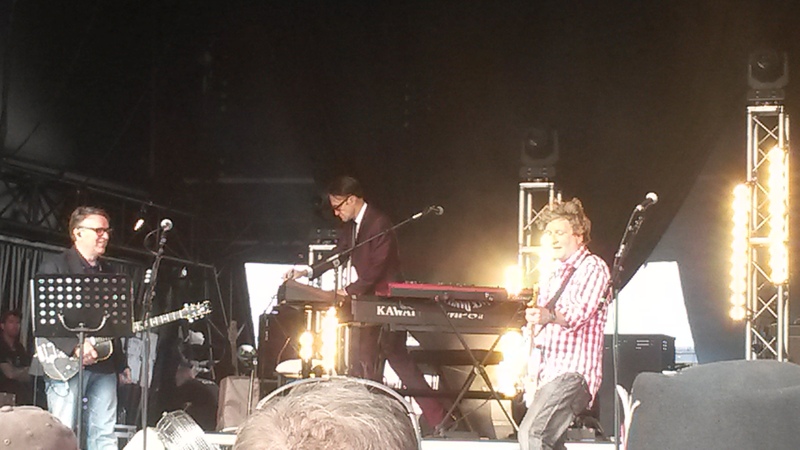 Brian Wilson was not quite my generation, but Squeeze – or at least Difford and Tilbrook – were (right). The sense of rapprochement after years of estrangement between the two was palpable. I did not expect to get too much from 10cc. But Graham Gouldman assembled a band capable of doing justice to a repertoire that owes much to the original band members not there. Marc Almond was a crowd pleaser. Paul Heaton – my one time next door neighbour in Hull – has the best banter of any musician. Always has. With Jacqui Abbot, he served up some of pop’s most feel-good songs, many tinged with melancholy. If one digs deep enough. The Lightening Seeds, ‘Pure and Simple’. So much for dangerous nostalgia. 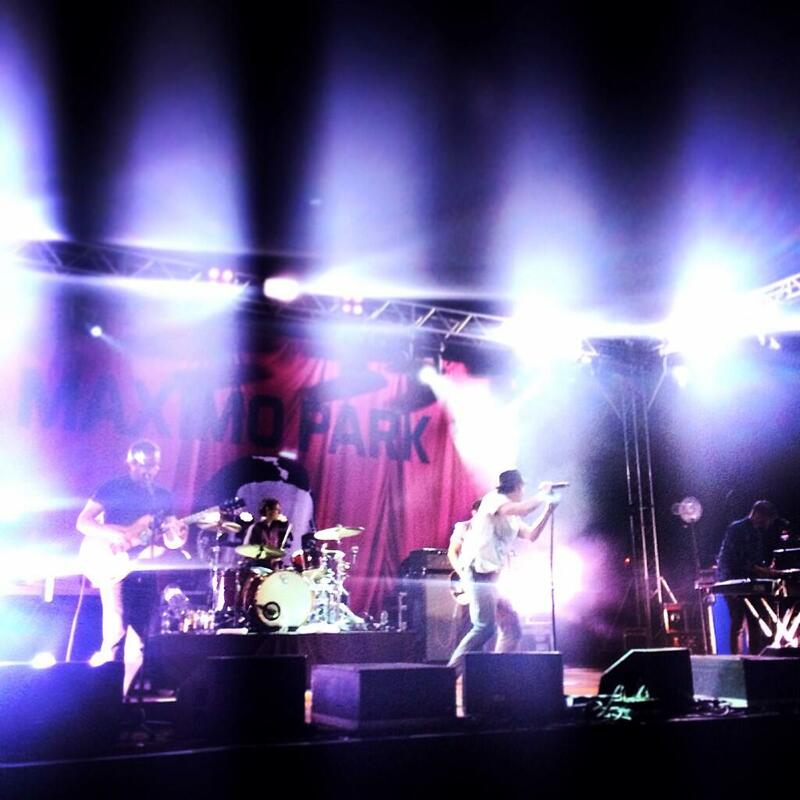 Maximo Park – never heard any of their stuff previously, despite being around for 10 years. They were spellbinding (right). They made a link for me to the Damned, without the Gothness. And serendipity always has a function at these events. Three of the most wonderful discoveries were made. 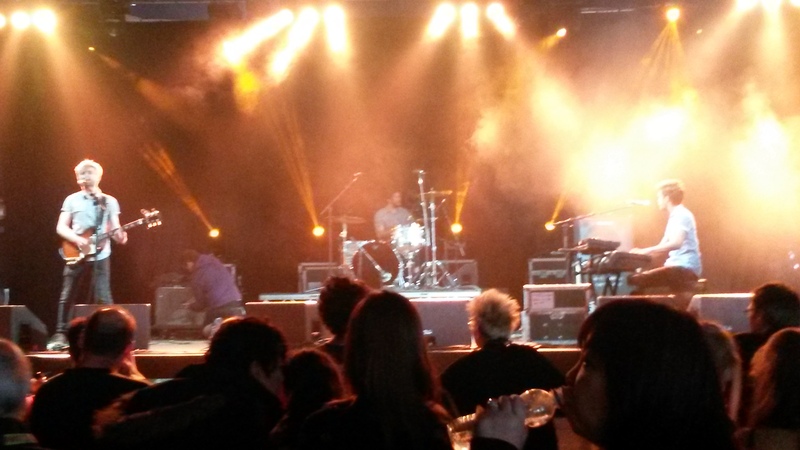 First, Jukebox the Ghost – a three piece from New York (below left). The keyboardist, Ben Thornewill, has a bit bit of Billy Joel about him. Their set was intelligent. 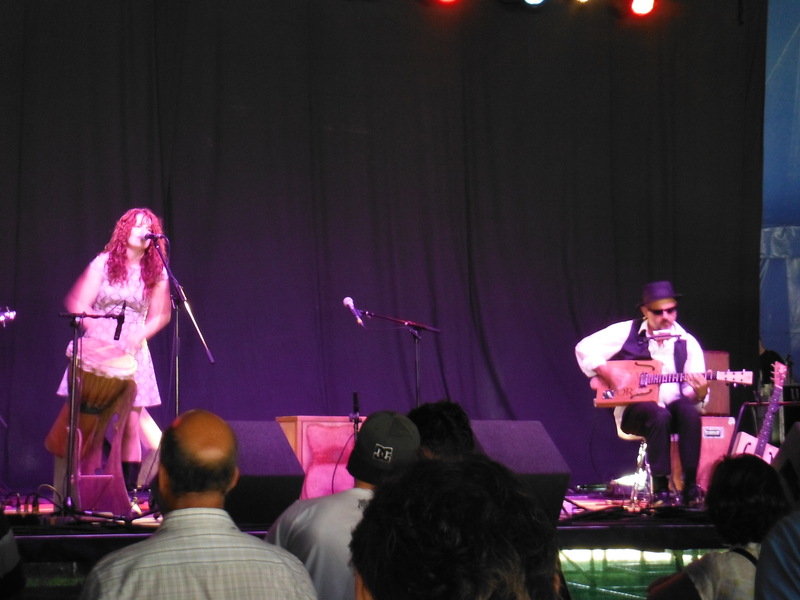 Then Baba Jack, a four piece blues/rock outfit from somewhere in the midlands. The ‘powerhouse’ of the band, Trevor Steger, makes his own guitars out of wooden wine boxes (below right). They are square, but the noise he generates from them is delightful. And loud. The lead singer, Becky Tate, writes love songs. But not as we know them. The standout performance, however, goes to the Daptone Soul Revue (an indie record label out of New York). I’ve never seen so many musicians not in an orchestra making so much music. And utterly enjoying it. 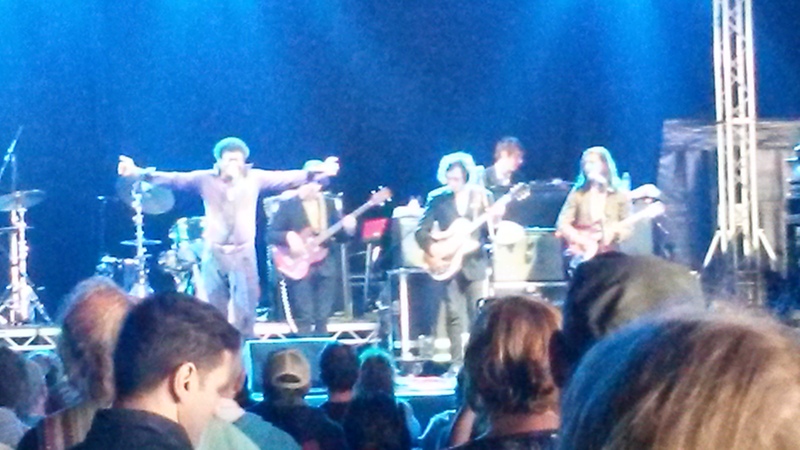 Charles Bradley’s tortured vocals envelope anyone who cares to be so enveloped (and maybe this time I did). Sharon Jones, who gave the finale (the set was over 2 hours), was just sensational. One just wanted either to take her home or bottle her. Headline Sunday night was Grace Jones. I would have really liked to enjoy her set, but the bass was too high. Shame really. Not needed.